The PGA Tour is in North Carolina this week for the Wells Fargo Championship at Quail Hollow Golf Club. Rory McIlroy defends a title he won in some style last season. An extremely strong field has assembled for this event with five players in the top-10 on the World Ranking teeing it up. They are, Martin Kaymer, Phil Mickelson, Rory McIlroy, Paul Casey and last week’s winner in New Orleans Bubba Watson. In addition, seven of the players currently in the top-10 on the FedEx Cup race are on the start sheet. As such, this tournament carries significant world ranking points and will provide a good chance for those looking to climb the list to make progress. Founded by James J. Harris in 1959, Quail Hollow is a private member’s club, but it has been host to this tournament since 2003. There’s been an illustrious line of winners in the event, formerly known as the Wachovia Championships. David Toms came out on top in 2003 and, since then, Joey Sindelar, Vijay Singh, Jim Furyk, Tiger Woods, Anthony Kim and Sean O’Hair have been victorious. Last season Rory McIlroy fired one of the rounds of the year on day four of the championship. He carded a sparkling 62 to rip through the field and win the tournament by four strokes from Phil Mickelson. Phil Mickelson – “Lefty” was runner-up in this event last year and he has a superb record in the tournament – he’s never missed the cut and has finished in the top-12 on six of seven starts. Martin Laird – The Scot is proving himself to be one of the most consistent performers on the PGA Tour. He has already won this year and has four further top-10 finishes. He’s one of the longest hitters on the circuit and that will be a big advantage on this course. 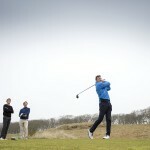 Nick Watney – This is a course that suits Watney – he’s made the cut every time he’s started here. He’s stepped up a level in self-belief following his WGC victory and will look to build on that here. Skills required: Playing the par-5s. It’s imperative here to make the most of the four par-5s on the course. It’s a tough layout and there are few “gimme” birdies out there. The winner will play the long holes well and pick up some shots. To do that they will have to drive the ball well.